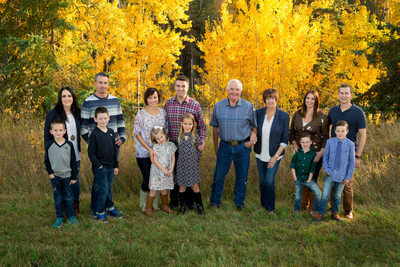 We are based in Edmonton but also cover Spruce Grove, St. Albert, Fort Saskatchewan, Leduc, Devon, Sherwood Park, Stony Plain and many other towns in Alberta. We also serve the Kitchener Waterloo area. 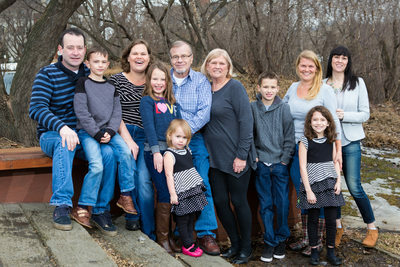 So why would you choose us to capture your families portrait? Well for starters we are parents of two small boys that take our own photos every year. If we can make it through this, we can handle any family on the planet. We consider it a challenge when parents say "good luck on getting my kids to smile." I have to be completely honest when I say that this is Jackie's specialty. She hasn't met a child that she wasn't able to make smile. Another concern of parents is when the children are too busy to sit and smile. We love this time because we can take some candid photos of them running, laughing, and just having fun. 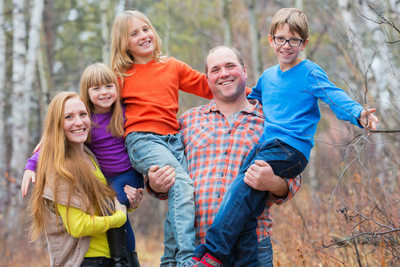 These are usually our clients favourite images of a family portrait session. There is no greater piece of art to hang on your wall than a family portrait, and that is why we specialize in printed products. We want to create a masterpiece that hangs on your wall for years and makes you smile every time you walk past it. We understood a long time ago that the secret to a happy life is surrounding yourself with people that you love. 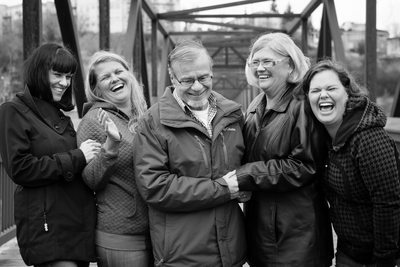 Both Jackie and I come from large, tight knit families and I think this is why we love photographing families so much because family is everything to us. 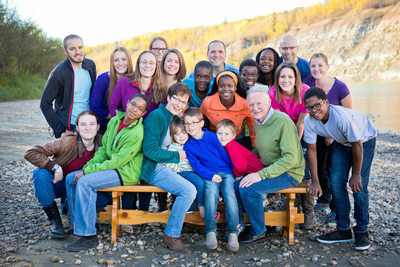 Our family portraits can be extended families with up to 20 people or a small group of 3. We are completely comfortable with large or small groups. We love photographing families at all times of the year. 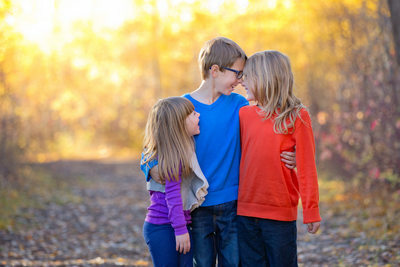 Fall family portraits in Edmonton are usually the most popular because the colours are so fantastic, the summer holidays are officially over, and the kids are back in school and routines are a little more structured. 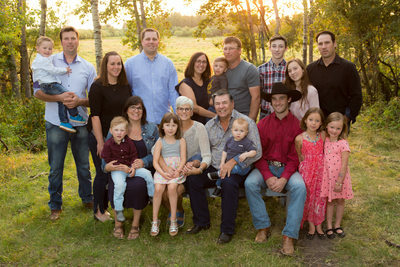 With that being said summer family portraits in Edmonton is another great time to capture your memories. The leaves and flowers are in full bloom, the sun sets much later in the evening so the light is always incredible. It takes a certain family to get winter family portraits but if you are up for it we are definitely on board! The cool thing about winter is the option to use Christmas lights as a backdrop. The Legislative grounds always has so many beautiful lights up as well as City Hall. It creates a festive look that cannot be duplicated at any other time of the year. 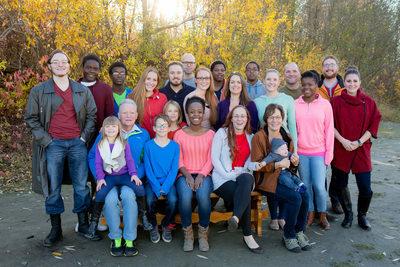 If you would like more information about our Family Portraits please click on our Contact page and either call us or email us. We look forward to working with you and capturing memories that will last a lifetime. Photographs of families become cherished heirlooms.When was the last time you had a nice family portrait? 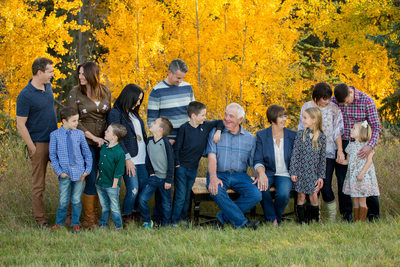 We love asking people this question because the answer is usually "so long ago I can't remember" For all of these people family is the most important thing to them but they struggle to find the time to book a family session. 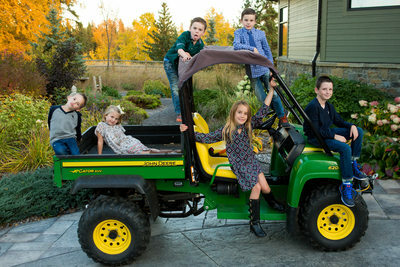 We suggest booking as soon as school is out for the summer, for an amazing Fall portrait session. Hiring a husband and wife team is beneficial in many ways. 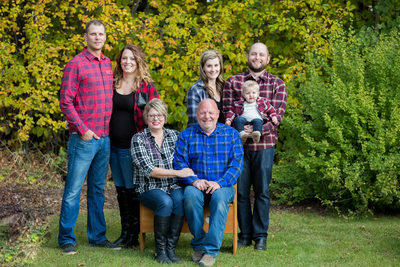 When you hire an experienced family photographer, you're getting personalized attention from Darcy, a photographer who will take the time to get to know your family and capture images of your family in a way that is unique. 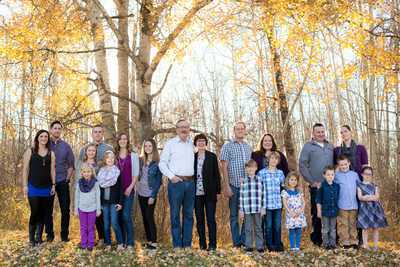 Another benefit of hiring a family photographer in Edmonton is that you will have family photos that will be cherished and hanging on your walls for many years to come. We encourage you to take the time and view our portfolio to get an idea of how well we do with family photos. Darcy and Jackie having an amazing ability to capture natural and timeless portraits for families that will be cherished for a lifetime. 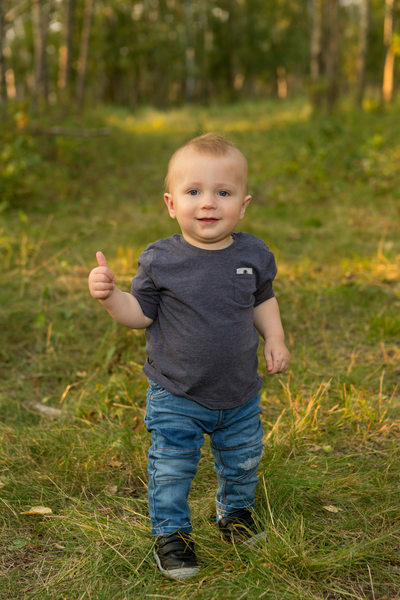 Family photography sessions are relaxed and fun – set at one of many parks in Edmonton, Spruce Grove, Leduc, Devon, Beaumont, St.Albert or the surrounding areas, or a location of your choice. 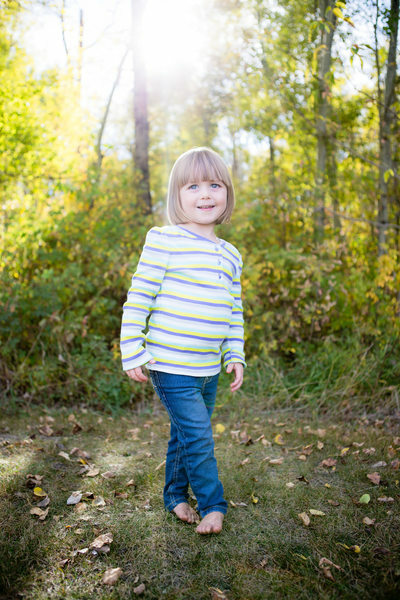 When you hire a YEG family photographer like Darcy Preece, your family's experience will be unlike any other. Darcy and Jackie can draw on 10 years of experience working with large groups of up to 20 people or as little as 3. 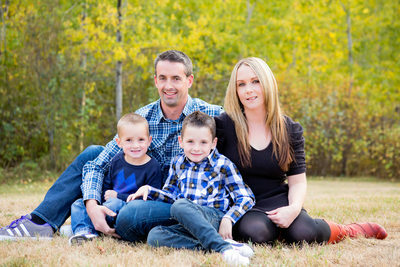 Darcy is an experienced Edmonton family photographer. 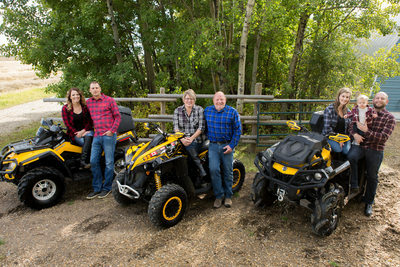 Together with his wife Jackie, they have earned a reputation as Edmonton's most sought after family photographers. Because they are parents themselves, they know how to work with children of all ages, as well as any big kids you may have, yes we are talking about you dad. 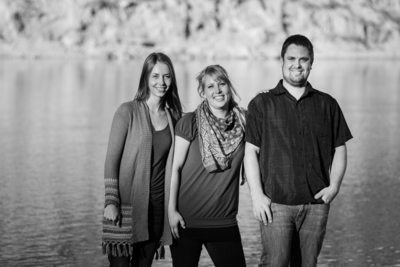 Family photography takes patience, skill, and experience. 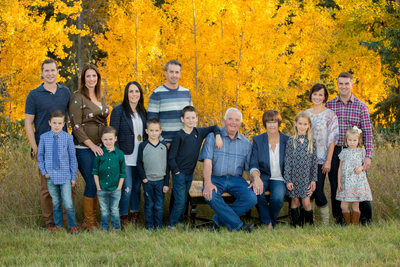 Darcy and Jackie know how to pose a family, so that each member is clearly seen, comfortably posed, and at ease with the family group. 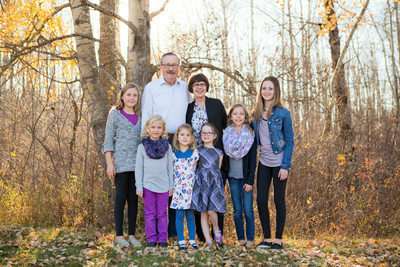 Darcy's extensive experience in photography allows him to choose the correct settings, make use of natural light or add flash if he needs to, and choose the best angles that will truly capture the essence of a family.